Happy Tuesday to you all!! Our summer is winding down with our county fair almost over and school right around the corner. Our annual company get away is this weekend and the kids can't wait to go to Elitch Gardens!! 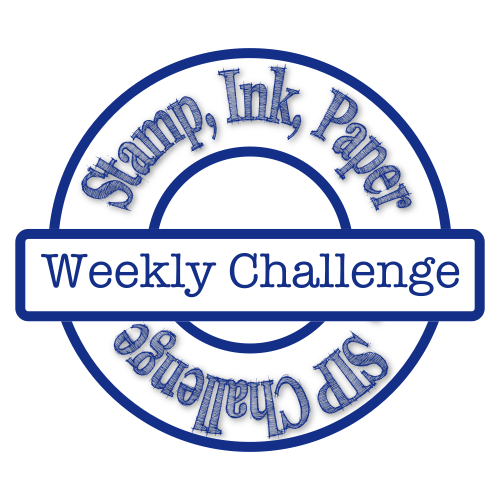 This week with Stamp Ink Paper we have a nice purple challenge! 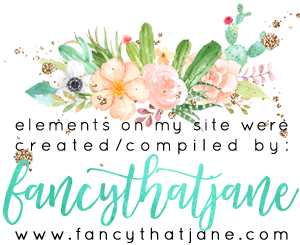 You will notice that we are not using Stampin' Up! color names. This is because we do not want you as participants to feel confined to using only Stampin' Up! product. Did you notice some of us have gotten our pre-orders?? It looks like Amy Koenders and I have great minds and couldn't wait to bust open our new Paisley set! My card started with a regal base of Elegant Eggplant! I then used my Stitched Rectangles from Gina Marie Designs to cut the Smoky Slate and Whisper White Layers. 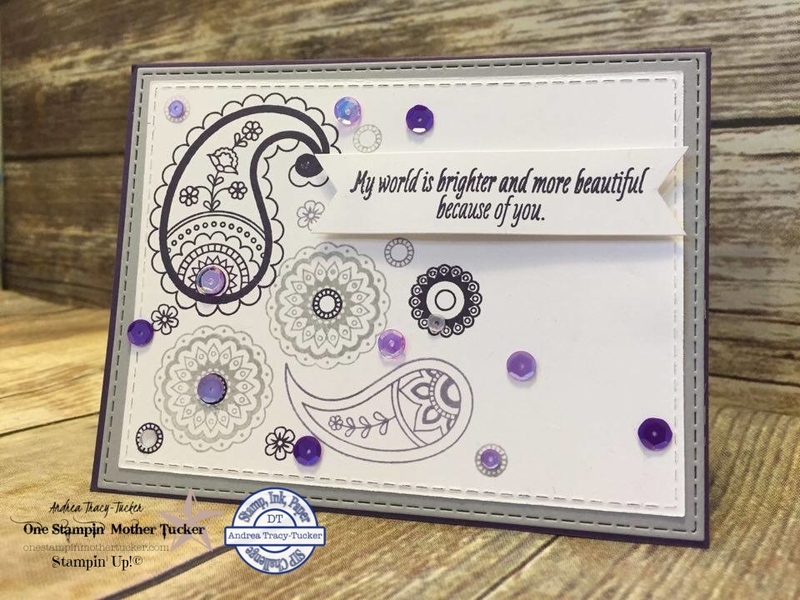 The Whisper White layer is stamped using the Paisleys & Posies Photopolymer stamp set in Elegant Eggplant, Wisteria Wonder and Smoky Slate! I added some sequins to give it a little whimsy! The Elegant Eggplant sentiment is on a 3/4 Inch strip punched at both ends with the Banner Triple Punch. This was a really funny and simple card to make! I can't wait to show you the rest of my NEW goodies!